The future of TV is 5G. Imagine having the freedom to watch whatever you want, whenever you want, however you want. TVision is TV built for the 5G future. Though currently on wired broadband, we’re planning for a 5G future where wireless broadband will replace home Internet. That means millions across America will finally free themselves from expensive, unreliable cable companies once and for all. 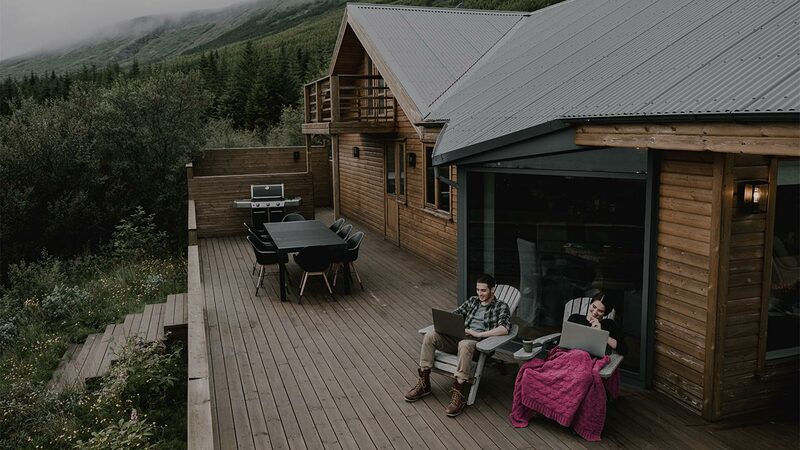 We’re introducing T-Mobile Home Internet, a limited pilot program which will give select Americans a fast and reliable alternative for in-home broadband. This will lay the foundation for New T-Mobile’s plans to disrupt the home broadband market with nationwide 5G. Much of the U.S. is greatly underserved when it comes to broadband options, with 28% of all households and 61% of rural households having none, or only one, provider. T-Mobile Home Internet will give millions of Americans—especially those in rural areas— more options for connecting. TV virtually everywhere with the best wireless care. With 100+ Mbps speeds, New T-Mobile’s wireless broadband service will bring TV to areas that never had it before. Plus, it will be supported by wireless care that’s topped industry rankings more than any other provider. By 2024, we’ll deliver high-speed wireless broadband to 90% of the U.S., and in-home service to over half the country’s households. 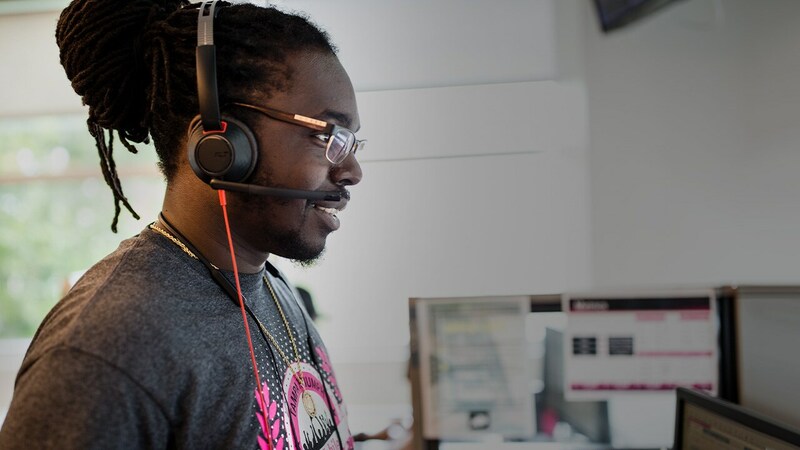 Together, the New T-Mobile and TVision will allow Americans to say goodbye to cable for good. Making New T-Mobile’s 5G vision a reality. The New T‑Mobilewill be the only company able to bring a broad and deep nationwide 5G network to market quickly in the critical first years of the 5G innovation cycle, ensuring America’s leadership position in the digital era. 5G is the next generation of wireless network technology, designed to meet today's growing data demands of the future while also expanding the scope of mobile technology beyond the capabilities of LTE. It will be transformative, fueling innovation across every industry and every aspect of our lives. Over time, 5G technology will revolutionize the way we live, work, and play. 5G will be ultra-efficient and support up to 10x faster speeds for mobile broadband. This will enable richer and faster experiences, such as mobile HD video, mobile AR and VR, and many other applications benefiting from higher speeds. 5G will also disrupt industries and bring more choices, particularly for home broadband. How does TVision fit within the New T-Mobile’s 5G vision? TVision Home is being purpose-built for the 5G future. We’re getting ready for a world where 5G replaces home broadband and TVision Home will replace your cable TV – and launching a complete, high-end home TV service is a key part of that strategy. If the merger is approved, by bringing together T-Mobile and Sprint, the New T-Mobile will have the scale and capacity to create a supercharged 5G network capable of reaching over half the country’s households with high-speed broadband by 2024. TVision Home launches with a cable box today, but core to the Un-carrier’s TV strategy is that TVision works with the apps and hardware and services people already use. We’re also unveiling plans to launch TVision on popular third-party TV platforms in the future. That means getting TVision will be as simple as downloading an app – no box or extra equipment required. When your 5G services launch, can I upgrade to that service? 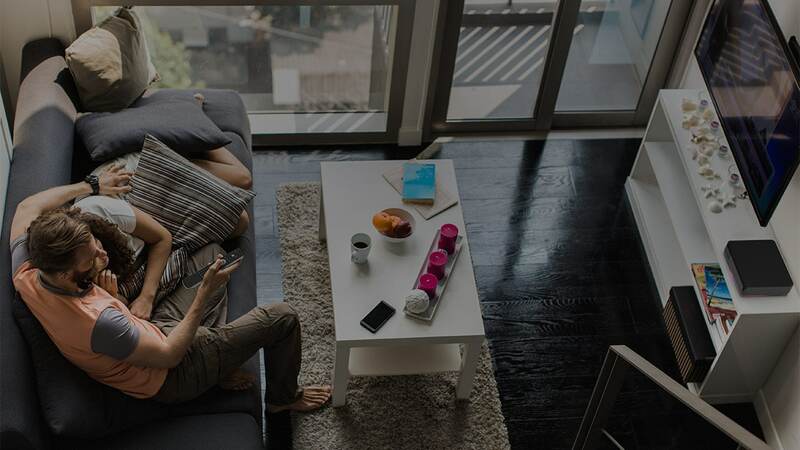 Yes, we’ll offer our customers the ability to upgrade to future versions of TVision Home, including those that run on our 5G network where available. I saw that T-Mobile is testing its home internet service – is TVision Home currently available with T-Mobile Home Internet? Not at this time, but we are working quickly toward a future where these products will work together. Can I use my T-Mobile Home Internet service for my TVision Home service? T-Mobile Home Internet is a new offering from T-Mobile, available by invitation only to existing T-Mobile customers at certain addresses in limited areas. T-Mobile Home Internet and TVision Home are not currently available together, though we’re working toward a future where wireless broadband will replace your home internet and these products can work together. Does T-Mobile Home Internet work for streaming video? But, yes! T-Mobile Home Internet supports video streaming from multiple services, however live TV (e.g. live sports and live broadcasts) is not currently supported.